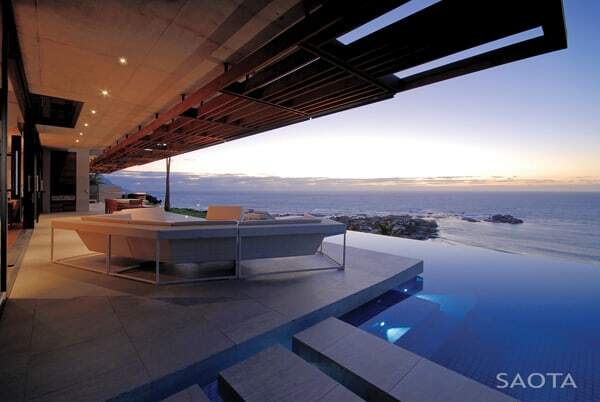 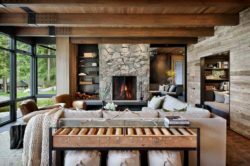 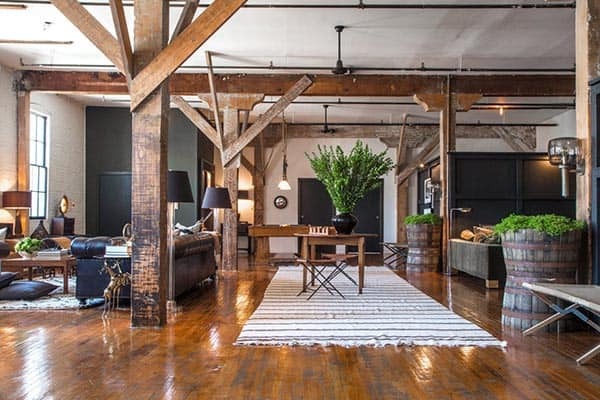 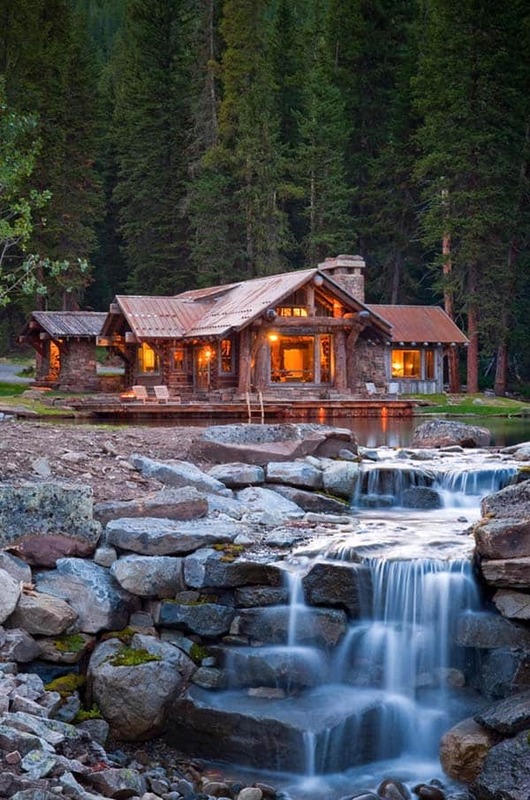 We discovered this wonderful property on Sothebyâ€™s, which flawlessly blends design with nature. 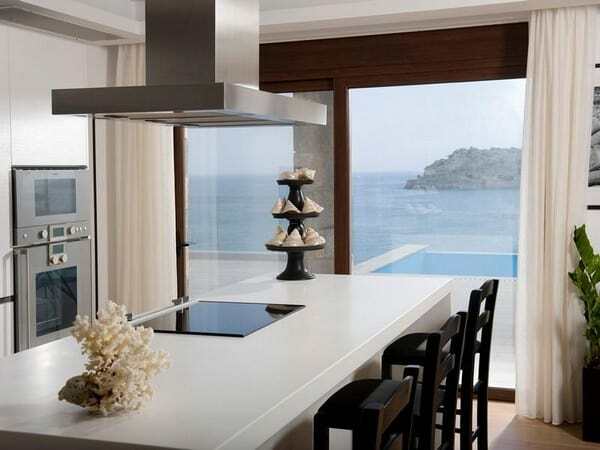 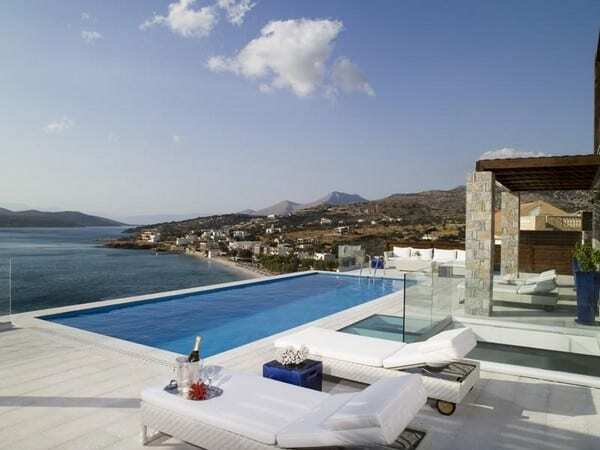 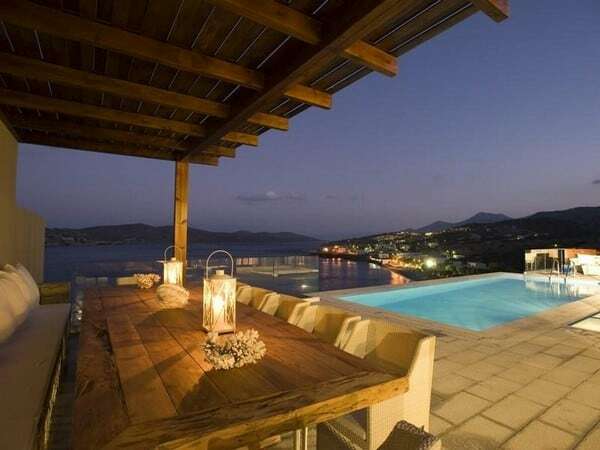 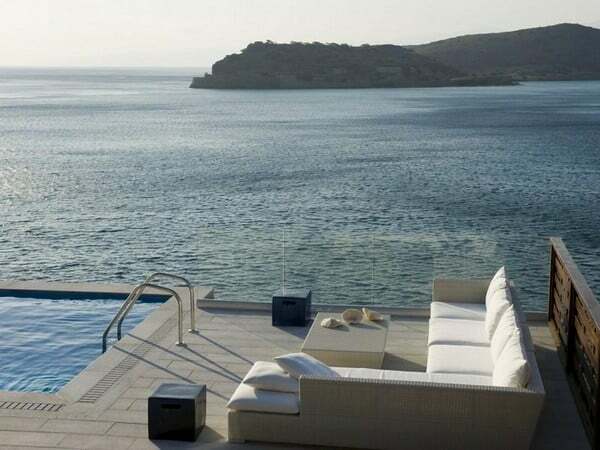 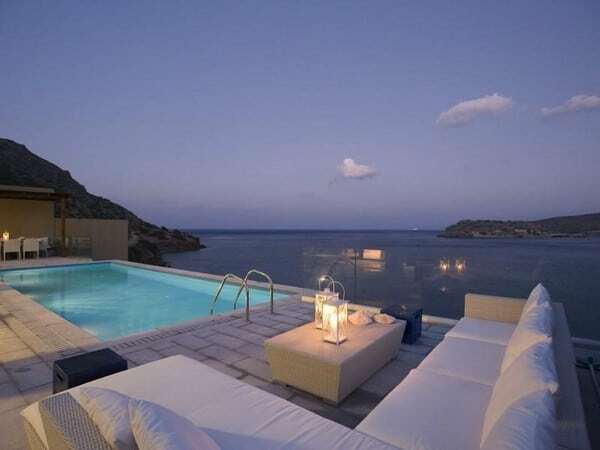 The captivating modern Elounda Villa Complex is located on the northern coast of the island of Crete in Greece. 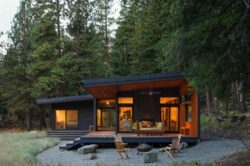 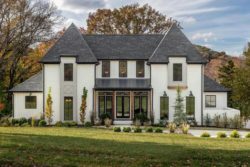 The property boasts four bedrooms and four and a half baths with a total living area of 4,521 square feet (420 square meters) spread out over three floors. 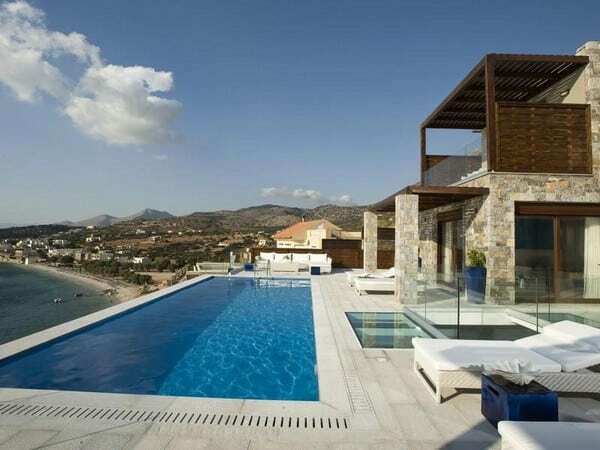 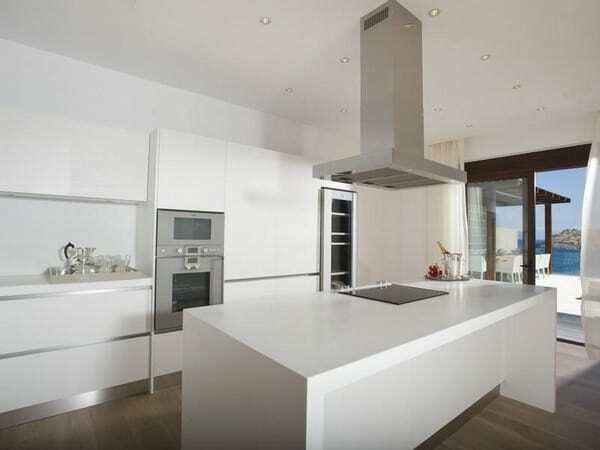 The villa also offers two kitchens, two living rooms, one housekeeper room, gym and sauna and swimming pool. 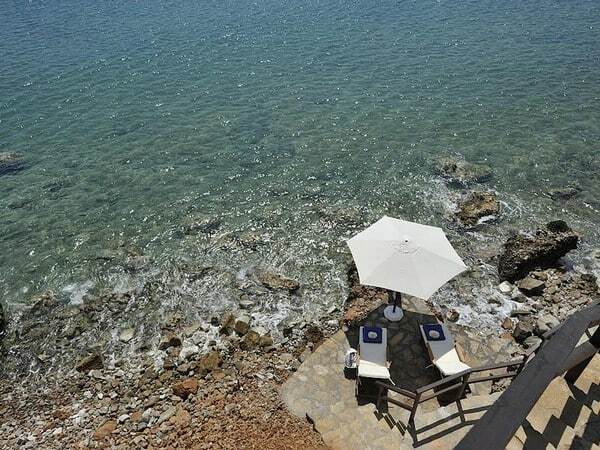 The beautiful outdoor terrace has a built-in BBQ with kitchen, access to a private beach with floating deck and stunning landscape inside the plot with olive trees and Cretan plants and herbs. 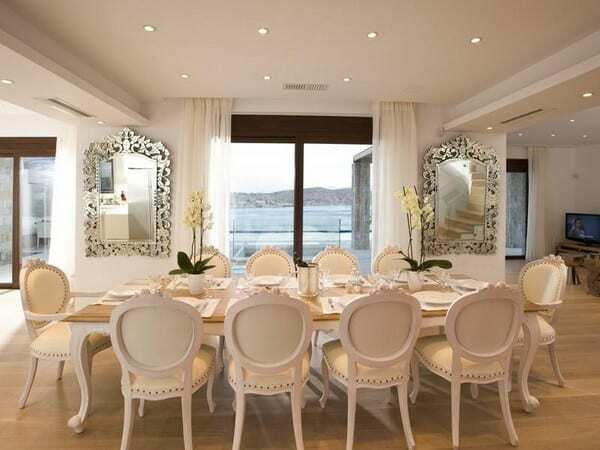 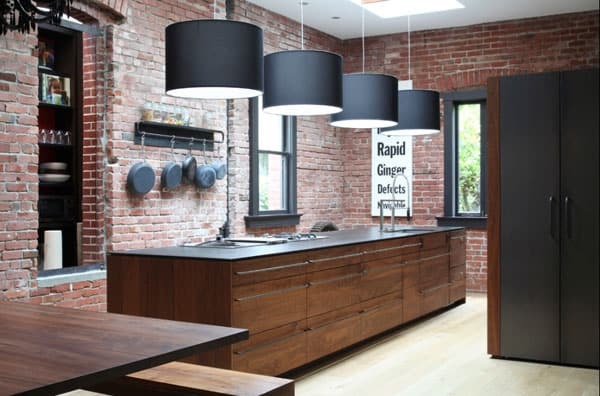 All interior and exterior spaces feature impeccable designer furnishings. 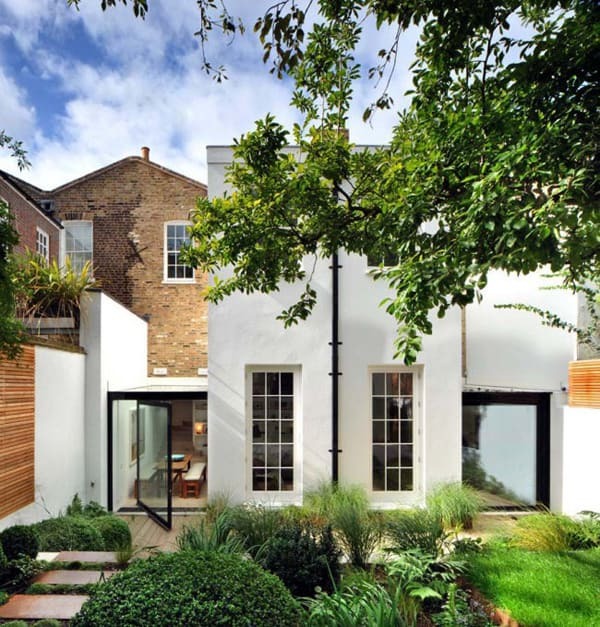 On the lower level there is an internal garden with plants and an open ceiling that gives amazing light into the house. 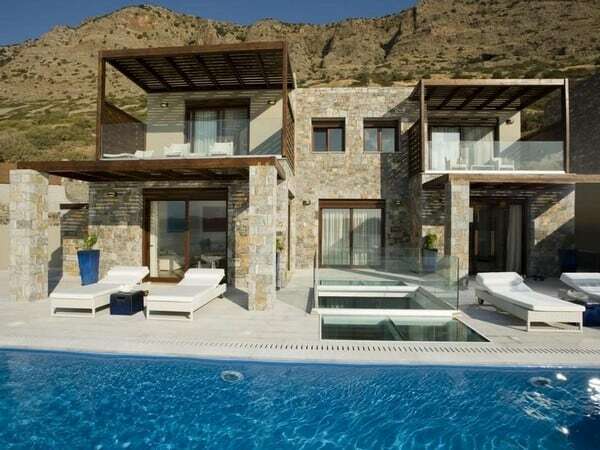 This fascinating villa is listed for sale with price available upon request from here.